For many of us learning to dance, one of the biggest issues is timing and musicality in general. We didn’t all show great promise in music when we were younger so we weren’t even taught the basics. We probably never listened to the music we danced to so we don’t have a good sense for it. We have also spent years responding to the lyrics in songs so we aren’t even used to responding to the actual music. For these reasons, we struggle with timing and need to know how to dance to the beat. It’s bad enough if you’re dancing by yourself and you can’t keep time. You worry that others will notice. However, this is actually unlikely, while you’re worried about what others think of you when you’re dancing; they are actually more worried about what you think of them. We are all self-obsessed so don’t worry. The time when you really need to worry is when you are dancing with another person. If you’re out of time, then there will not be much of a connection. Without that connection, dance just isn’t that fun. So it’s pretty clear that you need to improve our ability to keep time you learn to dance – if you want to dance well. 1 – Understand how music works: teach me how to dance in time. The first thing that is essential is understanding music. When you know what you’re listening for, it is much easier to hear it. Note that you need to ‘hear’ it. If you’re a more visual person or a kinaesthetic person, then you might want to try closing you’re eyes when first working on improving your music ability. Also, tapping in time, while keeping the rest of your body still, is always good start too. Music comes in cycles. Normally, in modern music and most dance music, there are cycles of 4 beats. The obvious exception is the modern waltz, which is in cycles of 3 beats. Each of these cycles is called a bar. Now there is no reason why each bar needs to take a certain time. The speed of the music is defined by beats per minute (BPM). The bars are the basic cycle, but there are others. This is at the discretion of the composer and restrained somewhat by the style of the music. Mambo is more likely to come only in bars, and it is counted 1,2,3,4,1,2,3,4. However, many pieces of music will actually have another cycle of 8 beats and count as follows – 1,2,3,4,5,6,7,8. Sometimes there will then be a cycle of 4 bars. Jive is an example of this. At this stage you just need to know it. We will focus only cases with 2 bars at a time. Note some people count slows and quicks and some leave out some numbers to indicate a slow progression – I am looking at you salsa dancers! This is fine if it works for you, but it is always handy to know these basics; they are universal. Now that we know there are cycle, we still need to know what they are and how we hear them. That’s part 2. Normally, the start of each bar will have a significant event. Something like a cowbell from the drums or a snare. Maybe a higher note from a brass instrument. Perhaps something from the base guitar. The key is to listen to the music for a stronger beat that comes in every so often and at a regular period (we will assume that the BPM remains constant). Once you have this try counting the other beats at equal periods between the major beats. As you do you will notice that music might use a similar feature on each 2nd, 3rd or whatever beat. Most modern western music has some kind of an emphasis on the 2nd and 4th beats. When you can hear these beats, you have made a significant step. The larger font for the 1 means you note that it is the start of a bar, and requires extra attention. I have assumed that the music for 4 beats to a bar. Make adjustments to your counting as required. As I mentioned above, music can have cycles of bars. The most common is cycles of two bars making 8 or 6 beats. In this case the strongest beat is on the 1 and the next strongest is on 5. You would count it like this – 1,2,3,4,5,6,7,8. When you can hear this cycle you will know when to start dancing – we start on the 1, and not the 5. Also, you sometimes use the 8 to get ready to start – Rumba is a good example of this and, to some extent, so is the Samba (but more about that pesky dance some other time). Actually, one of the best examples is any music you might listen to if were interested in how to slow dance. As I mentioned above some cycles are greater, there can be 16 beat cycles (4 bars) or 32 beats cycles (8 bars) often called phrases. Typically, the style of the music will change when each phrase comes in. Take a look at the video below. This is the clip for the Black Keys song Lonely Boy. The original plan for this video was to have something different. However, the guy that is featured is an actor called Derick Tuggle and he danced so well that the band wanted to use only him. He had one hour to learn the lyrics and come up with the dance sequence. You can see from the video that derrick has excellent musicality. He is in time and in the first 3 phrases he changes his dance style to suit each phrase. That means by watching Derick dance you can get a visual cue for the start of each phrase (and the change in music) at the beginning of the song. He is an excellent example of what you can do when you start picking up on all elements of the music. I often want to find this guy and say ‘teach me how to dance!’ just to get that natural connection to the music. Hearing the music is the first step, but you also need be able to respond to the music physically. A good start is simply using your fingers and tapping to the music. This is more than simple tapping though. You want to use certain fingers for certain beats. Choose one finger for the 1st beat another finger for the 5th beat. You can use any other finger or maybe the whole hand for the other beats. Then, when listening to the music, tap in time with it. Ensure you use the allocated finger, hand or whatever you choose for each beat. This is not exactly the same as dancing in time, but it is a very good start to getting your body to respond to the music and stay in time with it as you move. Then you will know how to dance to the beat. If you were initially unable to stay in time, then you will feel pretty happy with yourself for getting this far. However, there is more to musicality. You also want to dance in a way that expresses the nature and character of the music. This is easier to understand conceptually, but perhaps harder to achieve. It is beyond what is covered here, but something that you will want to consider when you are better able to keep time and want to really learn to dance. 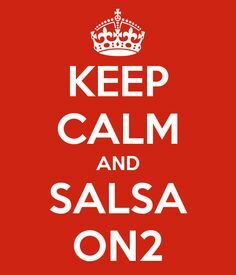 There are those who dance salsa on 1 and those who dance on 2. Of course there are those who dance on a different beat each time, but that’s a different topic. If you have been dancing on one or the other for a while, or if you have only learned one, then shifting to another can be tricky. I experienced this when I went to New York – famous for dancing on 2. I dance salsa on the 1. This was part of a US trip and I had already danced salsa in a few other places (Portland and San Jose) where the salsa was done on 1. I had also done some blues dancing in Portland, and it was in the preliminary class of the night that I stumbled upon the technique that helped when I danced salsa in New York. Blues is known for playing with the music a lot. In fact, there are blues dancers who say landing on the beat is just square, and one is to arrive a little behind. In line with this notion, the preliminary class prior to the social dancing was focused upon how people can play with the timing. I have personally found this hard; I think about the beat and I land on it. Turns out, I was thinking about it all wrong. The teacher at this blues event suggested that we try leaving on the beat. For example, if you are going to go forward on your left, then don’t focus on arriving on the respective beat, focus on leaving on the respective beat. By using this approach, you think about what you want to do and not about what you do not want to. Thinking about what you do not want to do does not often work. I am sure that you have had the experience of where you thought hard about not doing something that you did not want to do only to find that you then went and did it – because you thought about it so much. It’s like the example of when someone says “do not think about a pink elephant”; you think about a pink elephant. By leaving on the 1, when dancing salsa, I was able to come closer to landing on the 2. Then with a little more practice, I started landing on the 2. If you ever find that you are in an on 2 venue and you dance on 1, then try this technique. Also, if you want to play with the music, and arrive late, then maybe use a more positive thought process by focusing on when you leave as opposed to when you do not land. Why does Bindi Irwin dance so well? On this Season of Dancing With the Stars Bindi Irwin has pulled off some remarkable performances and got the scores (and final victory) to prove it. Many of us would not expect this from the daughter of a crocodile hunter. Her dance partner Derek Hough, noted that at the start she could not dance “No joke, she could not dance,”. She has surprised many with how well she dances. She has something that helps her dance so well. This makes her an ideal person to study to understand how we can all become better dancers. 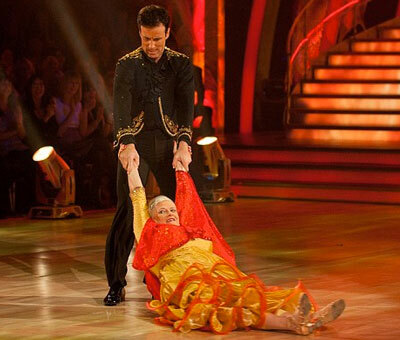 If we can work out what helps her dance so well, then we can emulate this. Bindi’s posture did improve over the season. However, that was more a result of mindfulness. Derek noted that she became aware of her body as she practiced more. Once she was aware of this, she could produce the right posture. If you watch her dance, then you can also see how strong and clear her movements are. Bindi has had an active life, which has given her a physicality that is ideal for dance. The lesson: if you find that your body does not have the ability to move as you wish, then you probably need to engage in dedicated exercises to build the strength that is needed for dance. Take a look here to learn some of these. Whenever I watch Bindi dance, I can tell that she has a sense of timing. When she did tango to Shook Me All Night Long by AC-DC Bindi spoke about how music reminds her of her past. Because music plays such a role in her life, Bindi has a deeper connection to it, and thus a sense of timing and expression. This lets her then focus on learning routines and movement without needing to put extra effort into paying attention to the music - she feels it naturally, and will be in sync when she dances. The lesson: focus on music separately. Listen to it and connect with it. If you want to learn methods to pick up timing faster, then take a look here. Because of her age, Bindi would still be accustomed to learning from others. Many children learn well because they think they have too. When you feel compelled and have no alternative, then you learn fast. Kids don’t actually have that much of an advantage when it comes to learning – they just have no alternative. Bindi’s mother commented how much she has grown over the season and how Derek had a lot to do with this – Bindi was able to learn a lot more than just dance. Bindi is accustomed to learning from others, and lets that happen. Thus she can learn dance fast. The lesson: We need to learn to learn. We also need to simply put the time in to learn. This can mean study in your own time. I can mean really paying attention to your teacher. It also means that you should manage the way you learn – learning dance is different from learning other things, and you might need to adjust your learning style. If you want to know how to tune your learning strategy to become a better dancer, then take a look here. The Halloween dance showed how much Bindi can get into her dancing. When you want to perform, you are indeed performing; it is a lot like acting. Bindi has experience acting and she also seems to like doing everything she does well. The lesson: if you want to succeed as a performance dancer, then you need to realise that you are acting too. Work on your body language and attitude to match the dance. If you want to learn some tricks to being able to express and act in dance, then take a look here. Bindi dances well and learned to dance well fast because she had the attributes that make a good dancer: musicality, physicality, nd ability to learn and attitude. These can be developed outside of dance so that you too can learn dance fast. Learn more about developing attributes to dance better faster here. For the past month or two I have been dancing a lot socially with as many follows (mostly women) as I can. I have been taking note of those I enjoyed dancing with and then asking them about how they dance and how they practice. This was all in an attempt to find out what makes for a good follow. However, within the context of more advanced dancing – where both lead and follow are experienced – there was one extra attribute that really separated the excellent follows from the good follows. When dancing at a higher level a couple will change the nuances of their dance to reflect the music. I can vouch from personal experience that a follow who picks up on the way they lead is expressing the musicality, and then do the same or even better add to it, is pretty much the best follow you can dance with. If you feel that your ability to follow has plateaued then it might very well be that you’re ready for the next step – following musicality. Next time you are dancing with a lead that you notice has strong musicality, then try picking up on their expression and then adding to it. You will find the experience much more enjoyable.